The flush mounted barn door handle pull mounts flush to heavy barn doors. It is recessed into the door and can be installed quickly and easily with four mounting screws. The screw holes are recessed in, so your screws will not stick out. 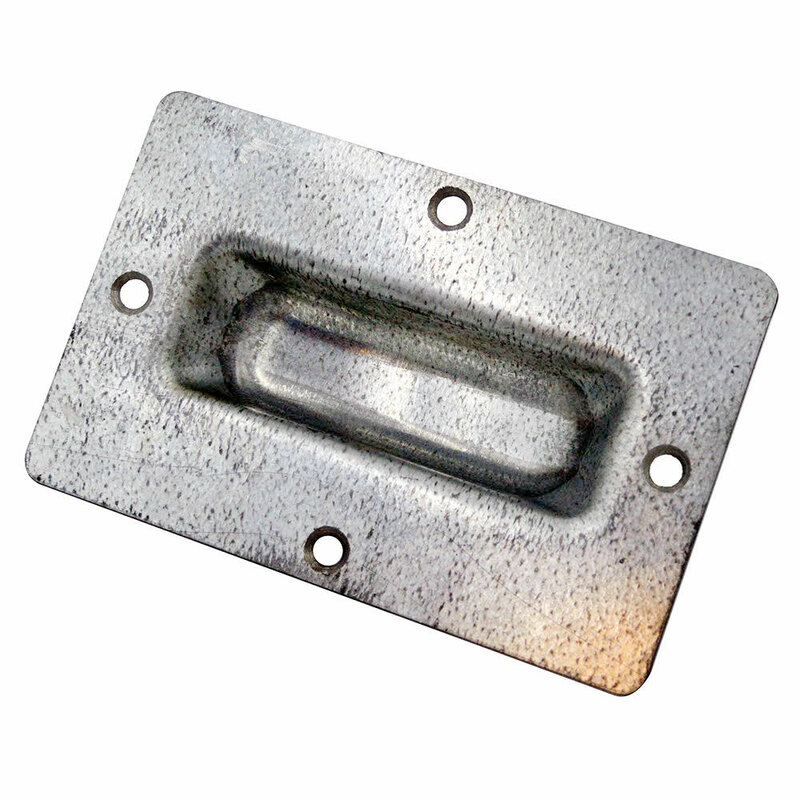 This flush pull is made out of heavy-duty galvanized formed steel.